Wanting to add in a logo into your chosen template? Good news is that you only need to do it in 1 place. Below there is a video that will discuss this much further. The image library will show up with all your images. To add to the library you #1 click on add image to select it from your computer files and upload into the library, #2 click on your logo image to select it #3 click on save and then #4 it will appear within the header logo. 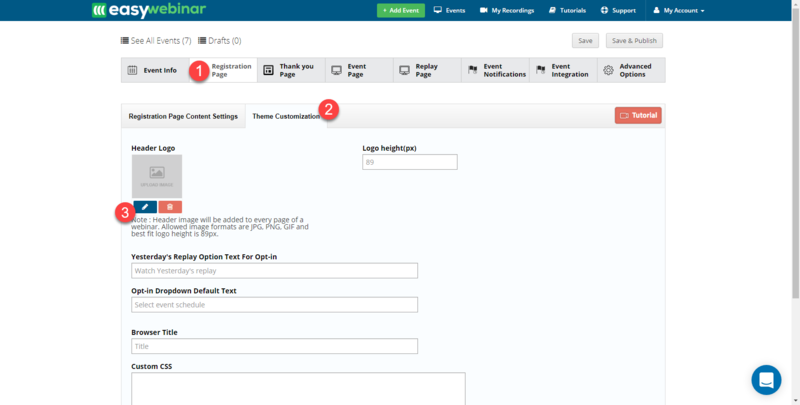 Then once you save the event or click save and publish it will then be live on your event funnel pages. If your image is already there then skip #1 and proceed with #2, #3, #4..